FX’s remarkably ambitious “Legion” is a hard to show to pin down, unpack, and review. It’s a superhero show … but not really. It’s a drama about mental illness … but not like one you’ve ever seen before. It’s a culturally relevant, action, drama, superhero, black comedy hybrid that is alternately fascinating and confusing. At times, creator Noah Hawley’s (“Fargo”) approach seems designed to keep viewers purposefully confused, unsure of what’s real, what’s happening, where the show is going. Programs, even in the era of Peak TV, that are this willing to be strange demand our attention, but this one requires more patience than your average show. It is defiantly weird, fully embracing its world and the odd characters within it. It’s a superhero show that owes more to Stanley Kubrick and David Lynch than it does to Bryan Singer or Christopher Nolan. Yeah, it might be great. Actually, it may owe the most to the Wachowskis, as the parallels between Neo of “The Matrix” and our leading man here can be pretty clearly drawn. In both visions, a young man learns that what he has been told his entire life—about his past, and the very nature of reality—isn’t true. He also learns that he holds more power to alter the world than anyone before him. Comic book writers have been working for generations with the idea that what makes us different isn’t bad but the key to our powers—it’s the theme of The X-Men, among others, from which this show very loosely originates. An often-unrecognizable Dan Stevens (“The Guest”) plays David Haller, a man afflicted with mental illness much of his life. He was diagnosed with schizophrenia at a very young age and has been bouncing around mental hospitals most of his existence. We meet him at a place called Clockworks, where he hangs out with his addict friend Lenny (Aubrey Plaza) and falls into the predictable routine of hospital living. Relatively quickly, Hawley and his team start playing with time and structure. We flash back to days before David was in the hospital, including a violent incident with a girlfriend, and, more interestingly, we flash forward to an interview in a windowless room surrounded by armed guards. People are very scared of David. Those same people are asking a lot of questions about “the girl.” David’s routine at Clockworks changes when a new girl arrives named Syd (the fantastic Rachel Keller from season two of “Fargo”). David is instantly taken by this beautiful young lady, but she won’t let anyone touch her. They still form an interesting pair, until something unbelievable happens to change both their lives. Before you know it, David is out, part of a commune (one way that "Legion" echoes "X-Men") run by a therapist named Melanie Bird (Jean Smart), and staffed by more mutants, including a memory specialist named Ptonomy (Jeremie Harris), a doctor named Cary (Bill Irwin), and more. Meanwhile, David’s sister Amy (Katie Aselton) is trying to find him, and keep him safe from the very bad people who also want a piece of this young man. Very few shows have their own unique structure and rhythm. “The Leftovers” is a good example of a show that doesn’t care about traditional pacing or character structure. What that show does in the way it rotates characters in and out of the spotlight is remarkable. “Atlanta” is another recent show that defies traditional structure. The genre and tonal jumps of “Legion” sometimes feel similarly ambitious. At one point it will very clearly echo superhero TV, feeling like it could be on The CW. A minute later, it looks like “Twin Peaks,” and you have little idea what’s actually happening. Without spoiling anything, it’s a show about a young man who hears voices and can eventually play with space and time. And so the show becomes just as fluid structurally and audially as the world of its protagonist. What “Legion” has that so many superhero TV shows lack (sorry, “Gotham” fans) is a commitment to performance and character that transcends genre. We so often see superhero shows in which characters are defined by their powers or their relation to a villain (even Netflix’s Marvel shows have fallen victim to this) but “Legion” works from character first, allowing all of David’s issues and powers to come from within. His powers are manifestations of his emotions and mental issues. His journey stems from his love for Syd and his sister. 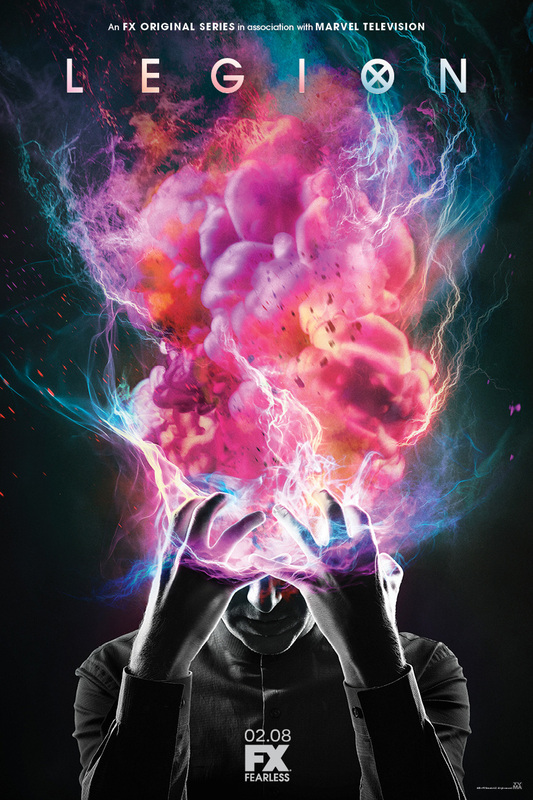 When “Legion” erupts in power-heavy sequences, including an amazing one at the end of the premiere, it’s almost startling. It’s one of the rare superhero shows that treats superpowers as something strange and magnificent instead of just a genre staple. And the performances are uniformly strong, especially Stevens and Keller. If there’s a flaw in “Legion,” it’s that it sometimes takes itself too seriously. Plaza gets a few wisecracks, but this is an intense drama, more so than people may be expecting from a Hawley show or one with Marvel origins. And I’m not sure how long they can keep up that intensity. It can also feel messy at times, as if the genre jumping and confusing aesthetic aren’t quite as refined as they could be. However, these are both minor complaints for yet another major show from FX.